A contractor came to me at the end of a project wanting to pursue about a million dollars of delay claims. Unfortunately, he had no case. During the job he had forfeited his rights by signing lien releases that were quite sweeping in nature. Essentially, each month he had exchanged a broad release for payment checks and in doing so released all his lien and bond rights for claims, changes, and damages. If he had only made some changes to those releases before he signed them, he would have preserved those claims and been able to pursue recovery at the end of the job. 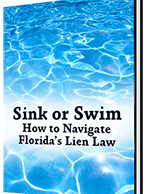 A lien release is a legal document. It releases rights that you (the signer) may have through a specific date. If you’re not careful, there may be other rights that you will give away along with that lien release. These may include a right for unapproved change orders, work-in-place that is part of a claim, a delay claim, or a time-impact claim that is still pending. We find that most contractors tend to skim over exhibits that are attached to contracts, because they’re just in a rush to get the job started. Often, one of those exhibits is the form of release that they’ll be expected to sign as the job progresses. That release usually has broad language that needs to be negotiated just like every other provision in their contract. Of course, the owner or contractor may tell you that you have to use the form they provide, or else. And sometimes you need to make a difficult business decision to provide a release that is broader than what you would like in order to obtain that check. But from a legal perspective, it’s best to negotiate for a form of release that has limiting language to protect your rights. While it’s dependent on how the document is drafted, most lien releases have a through date. Any rights you have up to that through date are typically released when you sign that release. So you need to make sure the through date and the amount of money you are expecting match. If you are expecting a $50,000 check that reflects your work through the end of the month, then you would put in the release $50,000 and a through date coinciding with the end of the month. If your customer tells you they are only going to pay you $30,000, you then need to change the through date so that it reflects the equivalent period of time for the $30,000 of work. This language can be written in various ways but essentially states that unless you receive the check for the stated amount of money, the release you are giving is not valid and enforceable. This language states that whatever you identify as an exception, such as a pending change order, is being excluded from the release. One thing to remember is if you exclude something from your release this month, you need to add it again to next month’s release if the exception still exists. It’s a good idea to keep a running list of exceptions that you add each time you submit a new release. 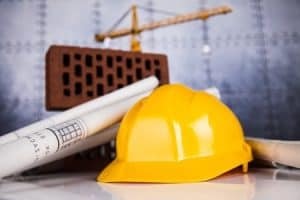 Many contractors perceive that a lien release is just an administrative step they have to take in order to pick up their check. But a release is much more. It’s important to read, understand, and sometimes modify a release, because if you don’t, you could be giving up significant legal rights. Written by Alexander Barthet ([email protected]), a Board Certified Construction Law Expert. Subscribe to receive updates. It’s free. You’ll also have access to free forms and our eBook, download as many as you want.